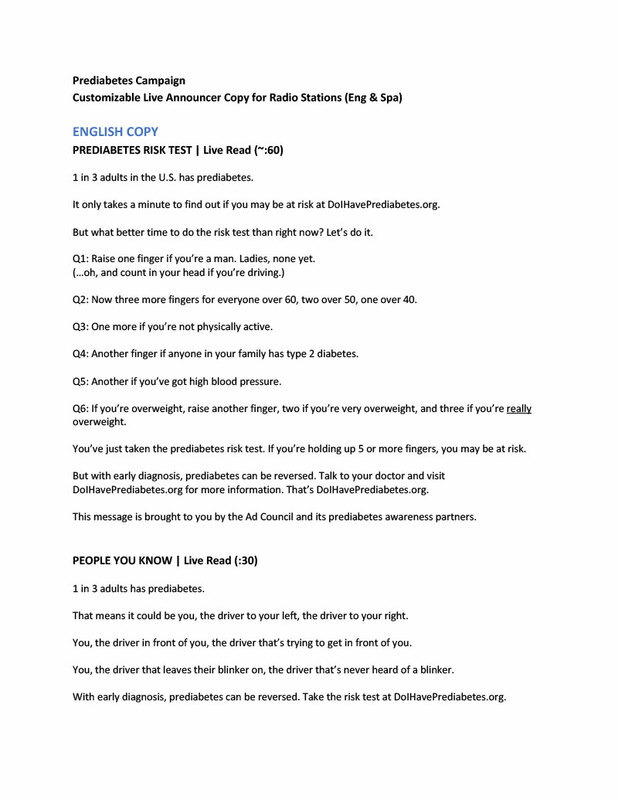 Local Media Outreach – Do I Have Prediabetes? 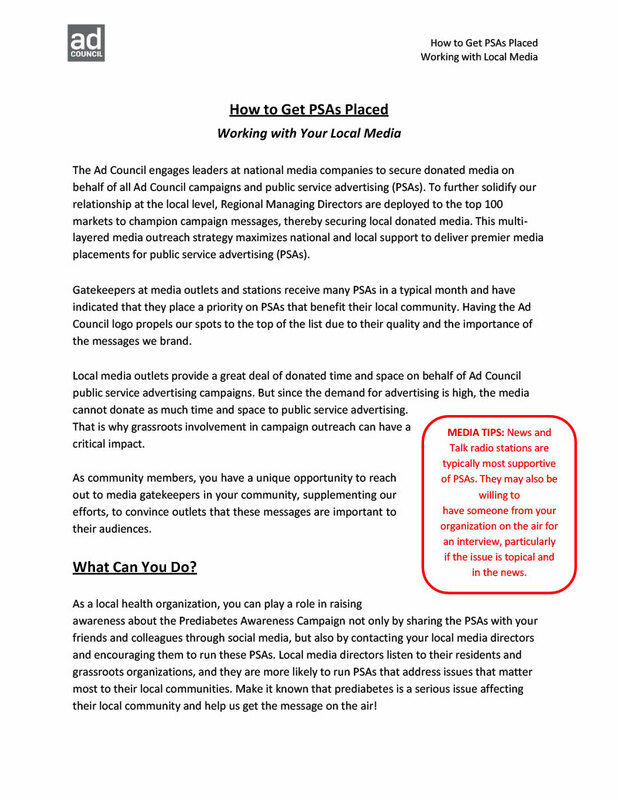 Learn how to promote the campaign with stations and media outlets in your local community. 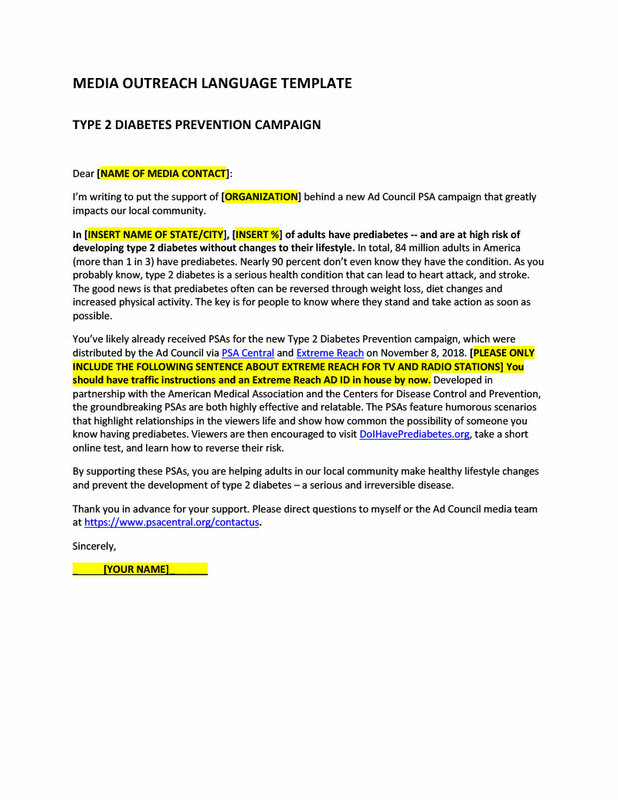 Tips from the Ad Council on how to engage local media relationships about the campaign and secure donated placements for prediabetes PSAs. Recommended language to use when engaging local stations and media outlets about the campaign and explaining why the issue is so relevant in your local community. Can be used in emails, letters, or to inform phone calls. Customize and share live-read radio scripts for opportunities with local radio stations. Use local statistics to make the scripts particularly compelling for stations and listeners. 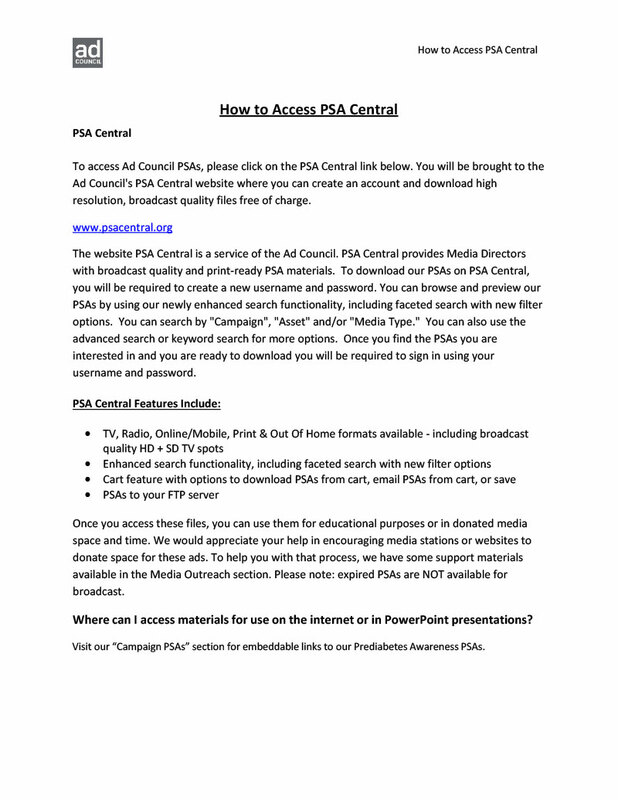 Instructions on how to download broadcast quality versions of the campaign PSAs. 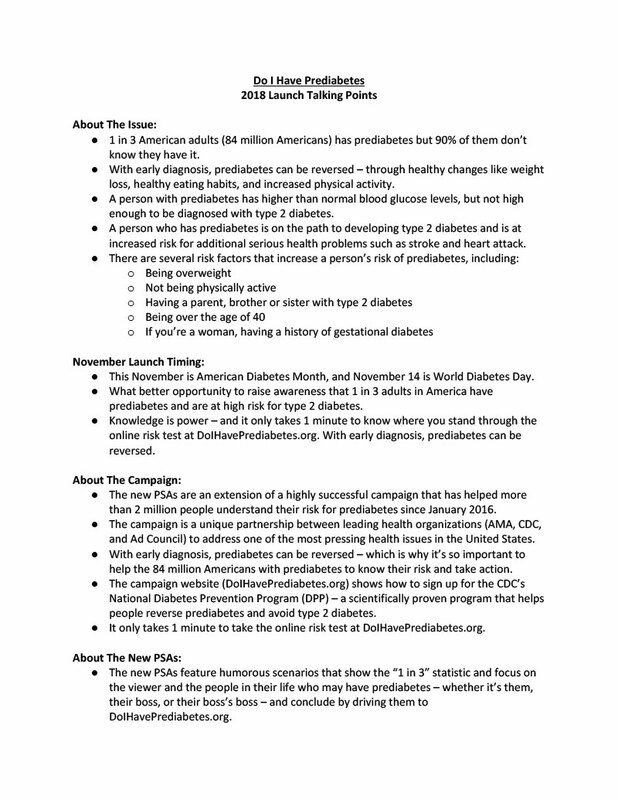 This document provides simple talking points to help discuss the campaign in a coordinated and consistent way. 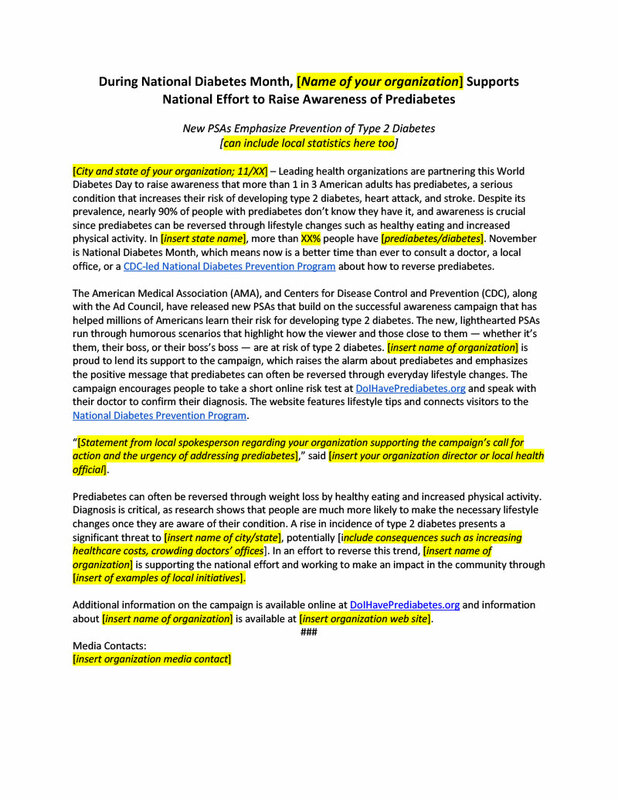 Customize and share this press release with local media outlets.